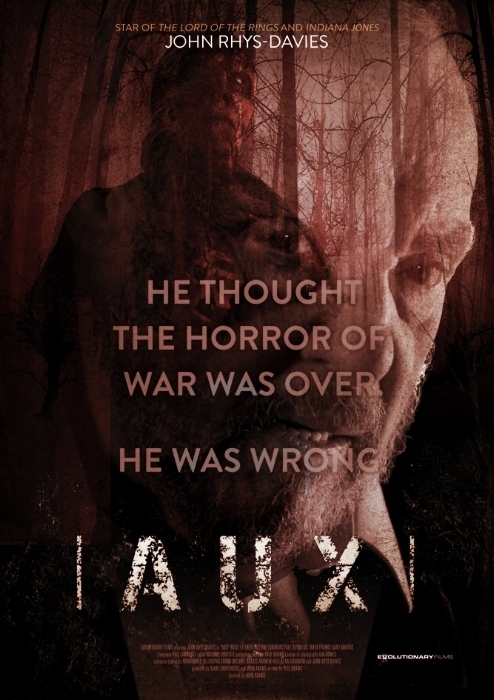 While AUX does struggle with the confines of its (low-ish) budget, the film nevertheless provides a decent plot, some tense scenes and entertaining, gory set-pieces. The film gets off to a rocky start, with the pair of kids who discover the bunker in the woods. Its not so much the acting that is the problem, its the dialogue the kids are given which just sounds off. However the scene in the bunker and ensuing car crash are very well done. The main leads are very likeable - Tristam Summers and Rosie Fellner as the main detectives are very good, while John Rhys Davis gives a very different performance to what we're used to seeing from him. You are more likely to see him playing an authority figure in a disaster movie but here he gives a very fragile, haunted performance as a pensioner coming to terms at last with a secret he's kept since the second world war. And that secret works really well as a plot device and is a good explanation for why the killings are occurring (if not how!). There is one scene which got a laugh from me, although i don't think it was meant to. At one point the police cordon off part of the forest with police tape and have to ask a family who are having a picnic to vacate the area, leading to the father to grumble about police interfering with their picnic. I imagine the scene when written had a more idyllic location in mind, but the actual area they shot in was basically a bleak, muddy tree-lined spot, and the least likely place anyone would want to set down a picnic blanket! AUX does take a while for the film to truly find its feet, but when the police are called to a local farm, the film is off and running. 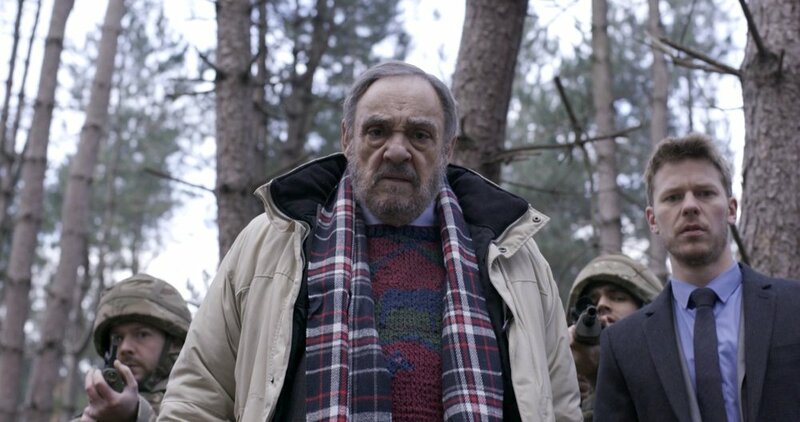 Everything from that point onwards is very compelling, wringing a lot of tension out of a siege/search for a suspect, and some very well-lit night shots in the forest. The film - and its antagonist - carves out some very nasty moments which are very well handled, especially what I consider to be its main set piece when a whole bunch of coppers fall victim to deadly booby traps in the woods. AUX takes quite a while to find its groove, with early scenes just not really engaging (except for the car accident, a very painful looking stunt to be sure). However, once the action crosses to the farm, and our detective duo start to get to work, the film starts clicking into place with some tense atmosphere and gruesome set pieces. The backstory turns out to be quite original and compelling, yet doesn't over-explain. All in all, this is definitely worth checking out, just have patience.